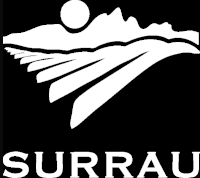 At Surrau continuous innovation meets the regional tradition of wine-production, giving rise to wines that are the expression of the territory. The winery is equipped with the necessary technology for the development of the varieties with respect for the tradition and also through its own laboratory, which ensures quality control, is completely independent in all production phases. A part of the cellar is completely dedicated to processing and production of Classic Method sparkling wines in all their phases, with manual rémuage room on classic pupitres. Temperature-controlled tanks of different capacities (20 to 200 hectoliters) to allow the separation of the different selections prematurely avoiding the creation of masses. Controlled temperature latest generation vinifier tanks, dedicated to the processing of red wines, which allow the extraction of noble compounds from the skins at different stages. Truncated cone Slavonian oak vats for the vinification and aging of Riserva red wines. Medium-sized Slavonian oak barrels (2000-3000 liters) for the processing and ageing of indigenous grape varieties such as Cannonau, Carignano and Muristellu (Bovale Sardo). French oak barriques and tonneaux from different manufacturers and roasting of the wood, for the processing and ageing of some red grapes.